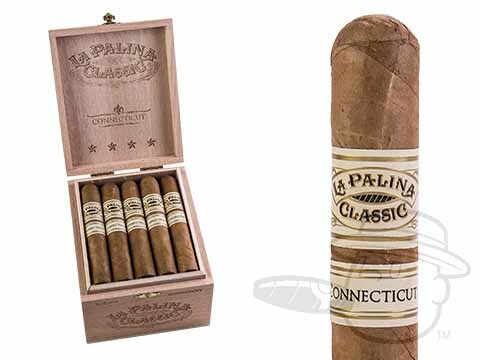 Lush long-fillers from the Dominican Republic and Nicaragua create a mellow and flavorful smoke like none other in the La Palina Classic Connecticut. Showcasing a glimmering golden brown Connecticut leaf over this unique tobacco blend, this revamped version of the Classic brings you smooth taste with vivid flavors of cedar, leather, caramel sweetness, and more over the course of a slow, even, and ultimately satisfying burn. A must-smoke for any Connecticut connoisseur.